This above is the first paragraph from the website www.tohonourapromise.co.uk, which describes the camps and troop activities on Morn Hill and generally around Winchester during WW1. In Alresford, Tichborne and Old Alresford there were large encampments of soldiers waiting, in transit to France. At the end of the war many of these young men returned home, and needed somewhere to live: there had been no house construction for five or more years. Efforts were made to construct houses quickly: and the huts used for the barracks and dormitories obviously offered a ready source of what were expected to be temporary accommodation huts for families. The full story of these bungalows was difficult to confirm, as my first assumption was that Kingsley related to a family surname! The outline was always present, that the bungalows were erected in memory of a loved son who was killed (and decorated for his actions) in WW1. The answer came from reading Glenn Gilbertson’s book, published by the Alresford Historical and Literary Society, called “Not Just a Name”. Lieutenant Kingsley Baker, MC, of A Battery, 51st Brigade, Royal Field Artillery, died on 30 March 1918, aged 23, and is buried in the Abbeville Communal Cemetery on the Somme, in France. Kingsley Baker was the son of Henry Charles Baker and Nellie (nee Stubbs) Baker: Henry was a Draper and Outfitter of Broad Street in Alresford. They had three sons, and Kingsley was the youngest: the other two sons had previously been injured during WW1. Lt G Baker of the Royal Berkshire Regiment suffered a serious arm injury, and Lt P Baker, of the RAF, suffered severe burns in an aircraft accident in September 1917. Kingsley Baker is listed on the New Alresford and the Tichborne WW1 memorials, the latter because prior to WW1 he had worked as a member of the Tichborne Estate Management team. These bungalows, created by Henry Baker in memory of his son, are still known as “The Kingsley Bungalows”, and labelled as such on the OS maps. Situated at the southern end of New Farm Road, they are constructed of seven huts end to end, ie with the roof line parallel to the road. All that can be seen to confirm this name is one plaque next to the doorway of Number 1, saying “1 Kingsleys”. These homes are around 24 feet deep and 30 feet wide, and still have the metal framework in place that was the strength of the original construction. Possibly the walls have now been replaced with brickwork, which is why the “temporary” homes are still standing, and permanent, sought after homes, after nearly 100 years. Obviously there have been extensions and modifications added over the years. It is possible the two further similar bungalows, sited along Spring Way, now much modified, also started life as similar military huts: it is not known whether they were also part of Mr Baker’s project, but it seems likely. 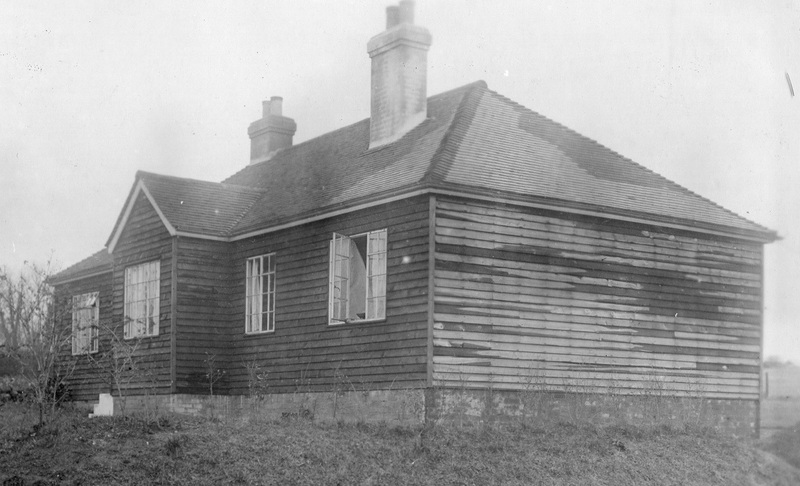 Possibly some of the military huts used in the camps around Winchester were dismantled and re-erected as community halls, scout huts and similar. 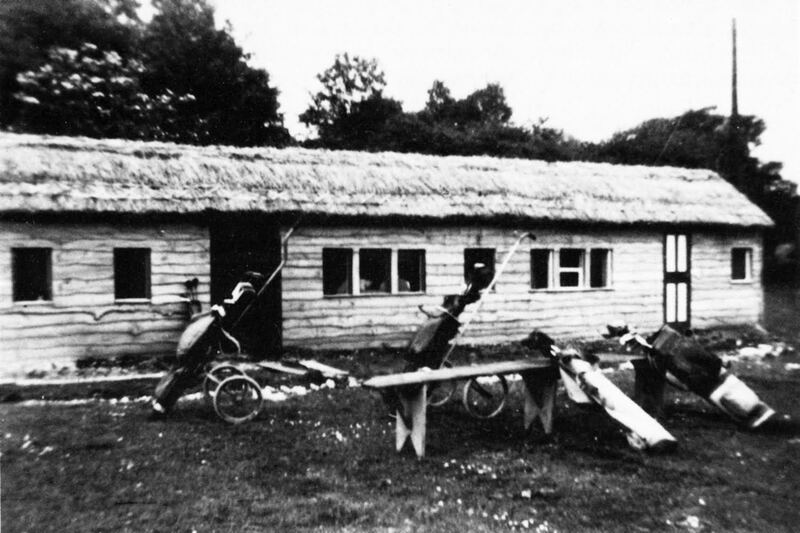 Others were used for homes – Pat Bentley, in his recent article published on this website, describing his 1950s newspaper delivery round, quotes the use of two such huts that formed the home he lived in on the Bishop’s Sutton road outside Alresford, where here the huts were side by side. Another possible site of a ‘Kingsley’ related bungalow is on Church Lane in Ropley, where Nurse Johnson lived for a time in the 1950s or 60s, near to the Ropley school: the postcard photo of her wood-board faced bungalow is distinctly named (in a hand-written addition on the corner of the photo) as “Kingsley”. 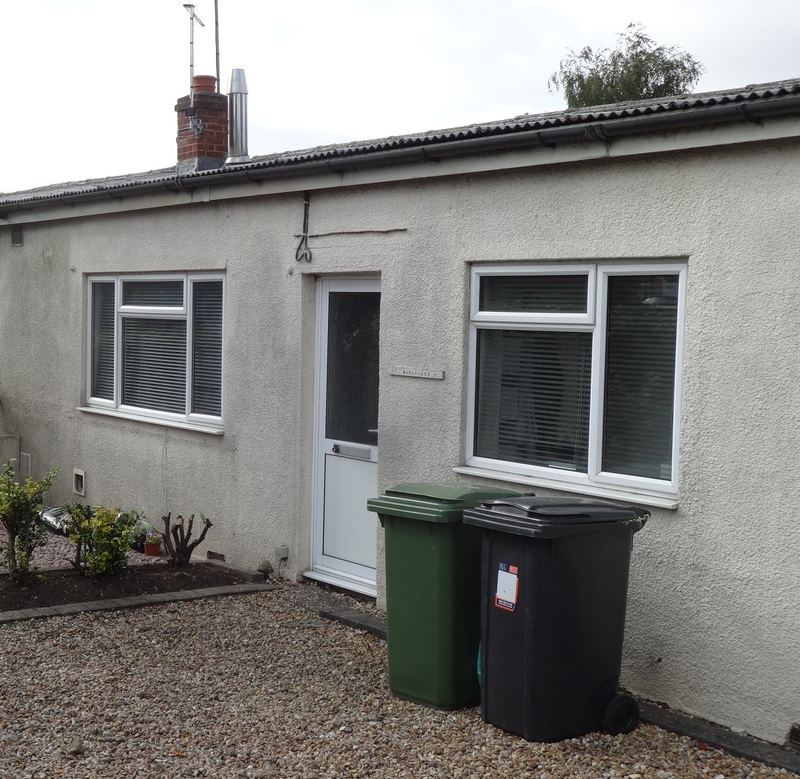 With two chimneys and a tiled roof it has been much modified from any original military hut. The use of the Kingsley name there is interesting: but further research by Una Yeates (now living in Alresford) into her family links with Ropley, has shown that her relation Walter Ford (later of 3 Church Cottages, Ropley) married a Fanny Walton in 1878: Fanny was quoted to be resident at ‘Kingsley’ in Ropley, at that much earlier date. Una provided the attached picture from family archives. 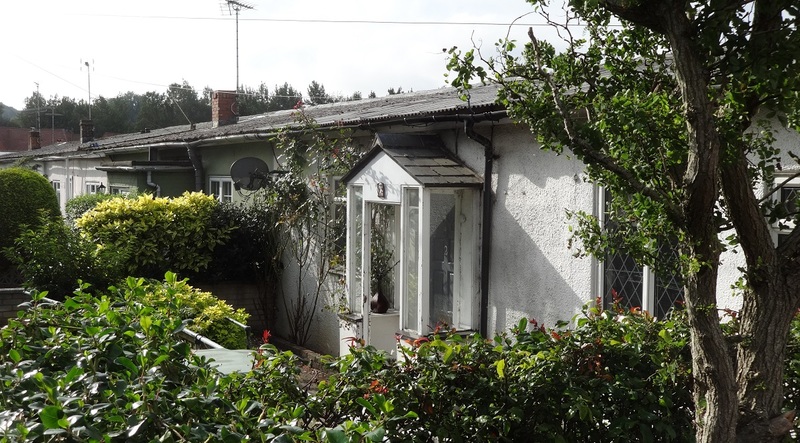 In Ropley and Fourmarks, it was reported that after WW1 returning servicemen erected what were known as “Colonial style” bungalows as homes on land which was provided at low cost: one is pictured in the Ropley Millennium booklet. Les Holder comments that there were four huts similar to the Kingsley bungalows opposite the Flower Pots Pub in Cheriton, and his brother lived in such a hut in Darvills Terrace, next to “The Ship” in Bishop’s Sutton. In Ropley and Fourmarks, it was reported that after WW1, returning servicemen erected what were known as “Colonial style” bungalows as homes on land which was provided at low cost: one is pictured in the Ropley Millennium booklet. Possibly these were based around war surplus hut purchases. Les Holder (aged 101 now I think, but still resident in Alresford) comments that there were four huts similar to the Kingsley bungalows opposite the Flower Pots Pub in Cheriton, and his brother lived in such a hut in Darvills Terrace, next to “The Ship” in Bishop’s Sutton. 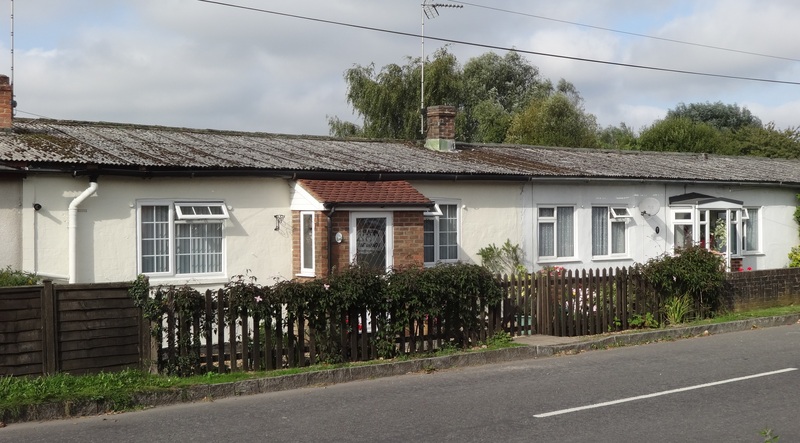 Again in Ropley, the Ford brothers (relatives of Una Yeates), who were painters and decorators, so associated with builders, both lived in such bungalow huts. Una also remembers that there were four such huts erected in Walter Read’s builder’s yard in West Meon, and that in fact six families lived in these four huts. This continued even after Read’s was taken over by another builder (Jenkins of Bournemouth), but the yard was developed and replaced by modern residential housing in the 1950s. It was also reported that the first council houses built at the far end of Grange Road, during or towards the end of WW1, were in fact built with the help of German POWs! A different legacy to the town, compared to the French soldiers who, as Napoleonic POWs, left us some gravestones. Across the country, after WW1, some of these German POWs decided to stay and settle down in the UK, maybe because they had been absorbed closely into the community while working on such projects. The same story occurs in WW2, where there were major encampments of soldiers in transit, camped in Alresford, Northington and Old Alresford: also during WW2 the St Swithun’s school buildings on the road into Winchester were used as a Hospital for injured soldiers – in fact my stepmother (an Army nurse from Great Yarmouth/Gorleston) was stationed there. Then, after the war ended, all the returning soldiers were desperate to find or create homes for their families, the moreso because of the bomb damage to city centres like Portsmouth and Southampton. Notably the Fire Service accommodation erected on the Stratton Bates Recreation Ground was turned into homes for evacuees, and continued in such use until the early 1950s. This story is told by Brian Rothwell in his article ‘The Stratton Bates Legacy’ in the 2014 edition of Alresford Articles, published by the Alresford Historical and Literary Society – he even has a sketch of the last hut left on the recreation ground, as the first sports pavilion and changing rooms, which served until 1994. A picture of the Clubhouse on the Golf course, based on a railway carriage: picture from alresfordheritage.co.uk, and “The History of Alresford Golf Club” by ER Hedges, 1990. Another temporary home, mentioned by Pat Bentley in his recent article, was the Railway carriage that was positioned in the field at the top of Jacklyn’s Lane, near the water tower. There was another Railway carriage in Alresford at that time: this one was heavily disguised, with a thatched roof and wood cladding on the sides – it was used as a clubhouse by the Golf Club for some years. It was located opposite the Cricketer’s Pub, across Tichborne Down, and had a car park between the two for the golfers. This cannot really be classed as an emergency temporary home….. Number 1: A modern picture of what was Mrs Bennett’s shop in the 50s-60s. Gog Andrews remembers that Number 1, Kingsley Bungalows, in the 1950-60 period, was a thriving local shop, known as Bennett’s, run by Tom and Emma Bennett. Thriving, because at that time the main industry and employment in Alresford was located in Prospect Road: these were companies like Gush & Dent (Agricultural Steel Fabricators), White & Etherington (Timber Merchants), Wessenden Products (Brush Manufacturers), William Thorne (Timber Merchants), The Chicken Factory (Poultry Slaughter, Prep & Packing). Mrs Bennett sold a selection of groceries, sweets, tobacco, cigarettes, cakes, paraffin, etc, to all the Prospect Road workers, and the local residents, so it was relatively busy. Tom Bennett had a farm, along on Tichborne Down, and fresh eggs from the chickens there were also sold in the shop. 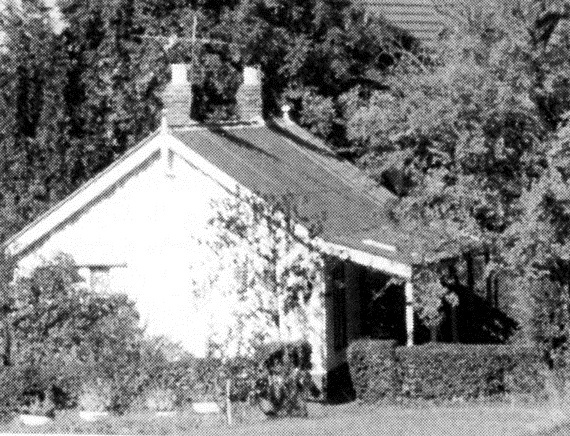 But the bungalow was in the same format as it remains today – Mr and Mrs Bennett lived there, and the sitting room was to the left through the front door. The room to the right was the shop, in just one smallish room, containing a counter, a few shelves and a large table: a hanging bell on the front door called Mrs Bennett out to serve. Gog says that from the outside it was hardly noticeable as a shop, with hardly any signage or advertising: in fact it looked almost the same then as it does today, approached up the front path through the lawn in the front garden, with the door in the centre and windows either side. A new document donated to the Alresford Museum shows road layout plans (hand-drawn) and lists the house names and numbers existing in Alresford in 1946. 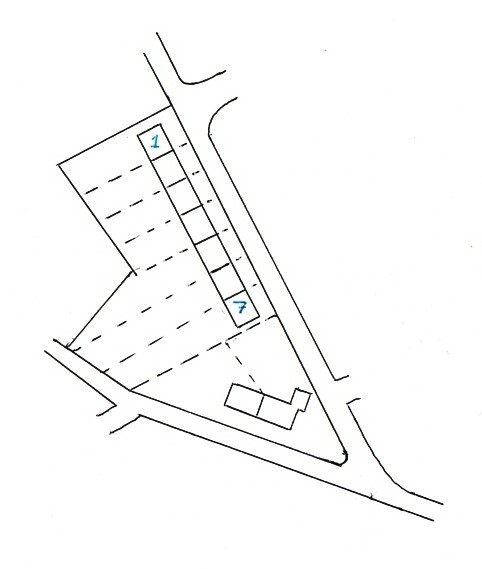 The Kingsley bungalows are shown there, labelled 1-7, and these are also labelled with their house numbers as allocated on the New Farm Road numbering system, which are numbers 14 to 20, with the bungalow known as number 1 Kingsley Bungalows also being number 20, New Farm Road! The road and place names within the Alresford area are a clue to the people and history of the area, but many times these are lost as the generations pass on. There are people who remember these origins, and presumably there are records in the minutes of Town Council meetings, but even the latter would not necessarily tell us why those people were important. There are people’s lives, generosity and work behind the names, and the reasons can make full stories of their own: but here we will try to list most of those known, from various sources. We are indebted to Josephine Croxton for her listing, that was originally created for the First Alresford Brownie Pack, presumably as a test for one of their badges. Also Pat Young has provided her list of the people who gave their names to some of the roads. Other additions will be welcomed, because new roads are popping up all the time! Alders Court – related to Alex Hankin and his house ‘Alders’ on West Street next to the Co-op. Arle Gardens – site of the farm belonging to the Dorey family…maybe it was a market garden? Ashburton Road – Lord Ashburton lived at Itchen Stoke. Brewhouse Yard – Site of one of the larger Alresford breweries, but also possibly the site of the source of the Great Fire of Alresford in the 1600s. Covey Way – Named after Dr C.E.Covey, presumably a GP. Pat Young’s parents had a large gilt framed picture over their bed, which was inscribed “To Dr C.E.Covey from the Poor of Basingstoke”, but she did not know the history, or why her parents came to own it! Culley View – Pat also says she knew Mrs Culley as an elderly lady who lived in a large house on Sun Hill, which was demolished when the new estate was built. Glenn Gilbertson has been writing a story about the family and life of this lady, Elizabeth Frances Culley, for the new “Alresford Articles” publication by the Alresford Historical and Literary Society, so readers will have to wait for this in 2013. De Lucy Avenue – from Bishop De Lucy, who helped to create New Alresford by building the Great Weir and forming Alresford Pond. Dorian Grove – named after the bungalow that was demolished when the new houses were built. Pat Young says this bungalow belonged to Mr and Mrs Lovell who bred pug dogs. Drove Lane – an old sheep drove route. Ellingham Close – Named after a local baker. Pat Young advises this was Mr T J Ellingham, who had a grocery and baker’s shop in West Street where Design Realities and Tiffins Tea Room are now. The Ellingham family lived in a large house on Grange Road, which was demolished to build the houses of Ellingham Close. Fair View, Paddock Way, Shepherd’s Down – These were the three large houses and grounds surrounding the Cricketer’s Pub, which were sold and demolished to make way for the new estate of houses which now bear their three names. Lovell Walk was named after the Lovell family quoted above. Makin’s Court: named after Sir William Makin, a resident of Langtons, at the corner of Sun Lane and East Street, across from the Sun Inn. Hasted Drive – the Hasted family owned a butcher’s shop in West Street: Pat Young’s mother worked for the Hasteds as a cashier. Haig Road – Named after Earl Haig (Your Country Needs You etc in WW1, although I don’t think he posed for the poster). In Haig Road there was the British Legion Hall, but this was demolished many years ago. This name dates from after WW1 obviously: before then it was called Southampton Road, but no-one seems to know why. Hankins Court – Built on the rear of the site of Alex and son John Hankin’s garage in West Street, the entrance off Jacklyn’s Lane is where the garage had a rear access to the car park and spares store, providing parking for vehicles waiting for repair in the workshop. Jesty Road – named after a long serving headmaster of the Junior School in the Dean. Lindley Gardens – After Col Lindley, who gave the land for the swimming pool by the river in 1949, in the War Memorial garden, which then, in around 1970(?) was filled in. Mallard Close – On the site of the Dean school, but Freda Kelsall (Chair of Alresford Parish Council, and member of the family that owned the Kelsall’s Grocery in Broad Street, now Tesco) proposed the name after hearing that the ducks had followed Reg Osgood up The Dean while walking the family dogs. Meryon Road – named after Dr Charles Meryon, a local GP, who lived in Broad Street and had two children. Pat commented that they used to run around naked through most of the Summer! Mill Hill – the road down to the two town mills on the discharge from the Pond. Mitford Road – there’s a clue on the house in Broad Street, that has a plaque saying that Mary Russell Mitford lived there. Nursery Road – George Wells and Graham Marshall’s Nursery Garden was sited at the area known now as Nursery Road. In fact they owned half the land that is now Nursery Road, Mr Conway, who lived at Langtons Farm on Sun Lane, owned the other half. Pound Hill – A 1958 booklet from Perins School says that up until around 1890 there was a Pound at the beginning of the Avenue in which any animals found wandering along the road out of a field would be impounded. The owner had to apply to the Police to have it released, and pay for its keep in the Pound. It was a large sized field with railings round it, and gave rise to the name Pound Hill. Robertson Road – Named after Canon Robertson, who was rector in Alresford. Pat remembers him well: he had a bushy beard and wore a round black hat with a large brim. At the Dean Junior school Pat and her class had hymns and prayers with him every Wednesday morning. Robins Close – Roy Robins was president of the Alresford Society: who died in May 2007. Before that he created the Alresford and District Museum Trust as a charity, in 2006, but this has led to the Alresford Museum and, in association, to this website (This website takes no funds from that charity). Rosebery Road – Pat says it was named after Lord Rosebery, who was a racehorse owner? Salisbury Road – After Lord Salisbury? Searles Close – Named after a local vet. Stratton Bates recreation ground – Presented to the town by Col Stratton Bates of Langtons, in East Street, in around 1911: again an article in Alresford Articles in 2013 will explain the problems this produced in more detail. Sun Lane – The Old Sun public house on East Street was on the corner of Sun Lane, and a long time ago was a smugglers rendezvous: the road changed its name to Sun Lane because of this, but only at around the beginning of the 20th century. Before that the road was called Tichborne Down Road (leading to Tichborne Down. But Pat Bentley remembers the Old Sun as a pub in the 30s/40s: it was then bought by John Arlott, the cricket commentator and broadcaster, who retired there first, before moving to the Channel Islands. Tanyard Hill – site of a local tanyard for animal skins, and abattoir. What do you know about Alresford? What does your Mum or Grandmother remember about the town when they were younger? There’s a lot that we might forget, unless you write it down and tell other people – using a new website for publication. For instance why was your road given its own special name? Where did the names Jesty Road and Covey Way come from – maybe you know about Sun Lane but why Nursery Road? Where was the Primary School when it was in the Dean? Where was the garage in Broad Street, and where is it now? When and how did it appear on TV? Where was the garage in East Street, and what was it called? Why does Pound Hill have Mexican connections? How many buildings that were used as pubs or restaurants can you identify? They might be good quiz questions, but we need everyone to think of these little bits of history and record them. As part of a project to record some of these simple accounts of what life was like in Alresford within our living memories, the New Alresford Town Trustees (NATT) are trying to encourage and collect contributions of stories from everyone, from any age group, and will publish them on this internet site. There is no proper name for this website yet: maybe you can suggest a good name that everyone will remember? Please send in a few memories of your own, as an email or hand written, and we will publish them on the website, and put your name on the bottom too, as the author, if you want. If you are at school and sending in stories from grandparents, or from a long time ago, please tell us how old you are, what school and class you attend, and roughly what date the story relates to. We hope there will be sections for stories sent from Sun Hill and Perins, and will organize competitions, for example to see which is the most-read story on the site. Please send your stories by e-mail to the editor, Nick Denbow, at nick@nickdenbow.com, or to NATT at clerk@towntrust.org.uk, or deliver stories on paper, to the Town Trust (NATT) at the Old Fire Station, in Broad Street, or write to the Clerk to the Trustees, NATT, The Old Fire Station, 54 Broad Street, Alresford, SO24 9AN.